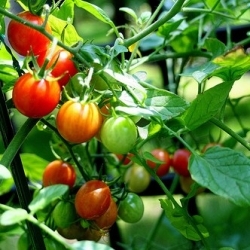 tomatoes – Isn't That Marvelous? It's serious. It's sarcastic. It's sweet. It's sincere. Well, I learned today – possibly to my chagrin – that the United States Supreme Court actually weighed in on this issue in 1893. (I’m hoping it was an otherwise slow year.) In a case titled Nix v. Hedden, the Supreme Court declared that a tomato is, in fact, a vegetable. At least when it comes to tariffs. Why? No tariffs on fruits, kids. Taxes, death … and laundry.